Perhaps you’re thinking ‘why do they have an entire listing for hurricane supplies?’ and the simplest answer is because you can never be prepared enough nor can you be prepared too early. Hurricanes are a real threat here in South Florida and it’s important to be ready ahead of time. Yes we have generators, tarps, batteries and flashlights. We have all of those items in stock on the shelf today. We will also have them in stock and on the shelf when the next big storm rolls in but you won’t be the only one looking for them. We also carry concrete anchors, combo drill bits and setting tools. We have washered wing nuts and their drivers. We have gas cans, extension cords and we stock kerosene in bulk. Not only do we have all of these wonderful items that we can label ‘hurricane preparedness’, but we know how to use them as well and we may even have some ideas on how to prepare you haven’t thought of yet. The following is a short list of recommended items that we have in stock right now. Don’t get caught unprepared, come by and see us today! Windmill Sprinkler and Hardware only carries top quality, time tested brands like Duracell, Everready, Boss, Honda and Nebo. We’re the local hardware store you’re looking for. 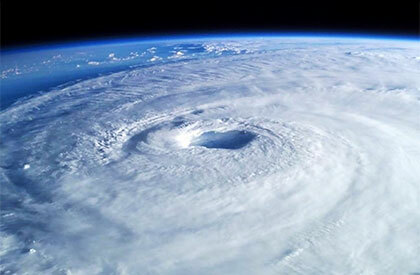 Hurricane preparedness is essential for you and your families physical as well as mental well being in South Florida.